My kids, aged 6 and 8 are still very much into bedtime stories. Our choice of books has changed the older they get and I particularly like choosing topics that would spark conversations or introduce new topics. 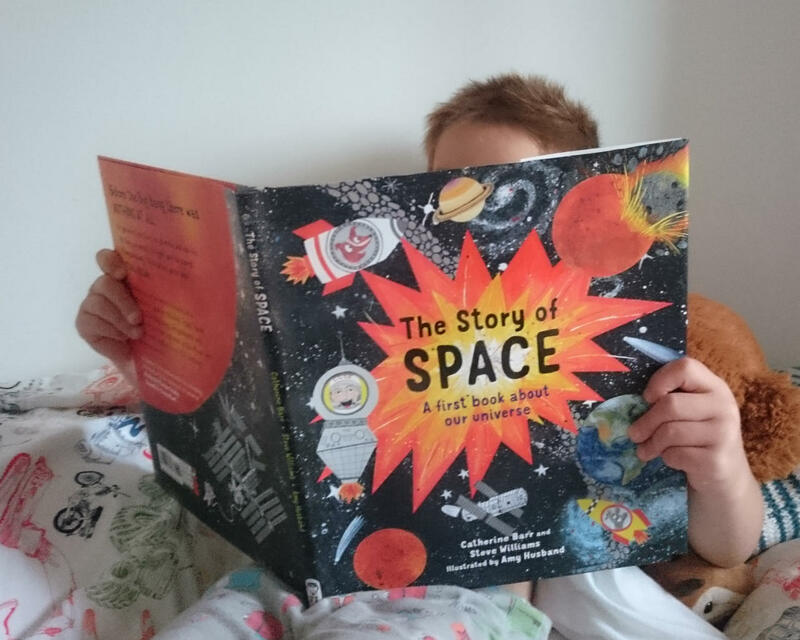 We love stories about space and rockets and astronauts and this new book, The Story of Space, by Catherine Barr and Steve Williams is not a disappointment. 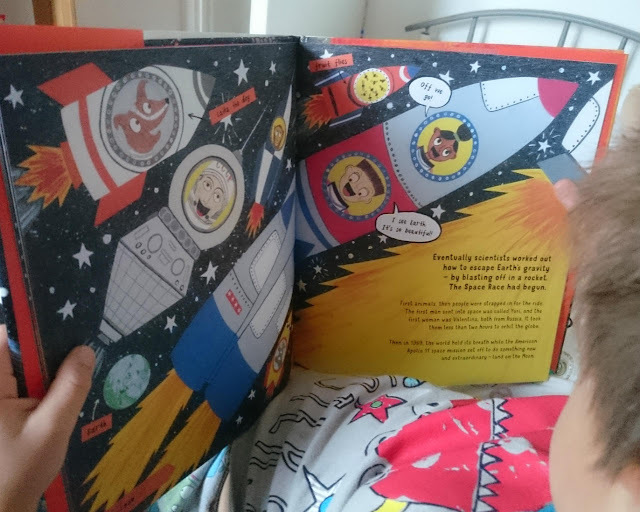 Being a bit older, they were able to read it themselves and loved the girl and boy on every page telling the story of space. Disclaimer: Quarto Publishing House sent us a copy of The Story of Space by Catherine Barr (Author), Steve Williams (Author), Amy Husband (Illustrator). The Story of Space is beautifully illustrated by Amy Husband and explores the story of how our universe began from the beginning and beyond today. Each spread explores different topics including planets, stars, earth, space exploration and more. There's a timeline throughout the book and a glossary of useful words too! The Story of Space is a follow-up book to The Story of Life and is littered with interesting facts and nuggets of information. Monica Grady, a professor of Planetary and Space Science was a scientific consultant for the book making sure the information is up to date and correct. Recently my 6-year-old and I were chatting about gravity and how it helps us to stay on the earth. This page in the book sparked a whole new conversation about how scientists have figured out how to escape the pull of gravity to explore space. Books are a great way to introduce kids to new topics. The Story of Space led us to discuss gravity, the history of space exploration, how to care for our planet, GPS location service through satellites and more.